"Air conditioner was not making any cool air at all. Called JMJ and Jean Michel came out same day and diagnosed the issue. He returned the next day with the parts and repaired the air conditioner. He explained everything fully to me, was friendly and completed the repair without delay. Air con has been working well now for 3 months after the repair. The price was very fair and the work was done well. He is genuine. Recommended." "Fantastic job. My aircon was able to be fixed on the very hot day I called. Very friendly, polite and honest. Very reasonable prices. Very highly recommended." "I rang Jean Michel of JMJ Air Conditioning and heating at 12.30pm on a very cold Sat, the ducted heating just wouldn't light. He was here by 5.30pm, same day, and had it fixed in no time at all. Replaced the part I thought was the problem (no trying to selling stuff). He was so kind & it was a very reasonable price. Really happy to recommend Jean Michel of JMJ." "They did a great job supplying and fitting my air conditioner to my home. They are fantastic at communicating and took the time out to explain how the Air con works. "It's rare to find a tradesman like Jean Michel... honest, punctual and charges a fair price. He quickly repaired our Central Heating in the depth of winter, and recently serviced our Air Conditioning in preparation for the next heatwave. I cannot recommend him highly enough." "I had my air conditioner looked at by Jean Michel, being a woman I am always cautious of the outcome and problems reported to me by tradesmen. Jean Michel not only fixed my air conditioner and serviced it well. He explained everything to me showed me the old parts and treated me with respect that I hadn't had before with a trades person. If you want honestly, professionalism, and a good kind heart that comes with a great price, Call Jean Michel, I can't praise him and his work high enough. Thank you again Jean Michel." "Prompt response. Same Day service. Thanks a lot. Will definitely use JMJ again." 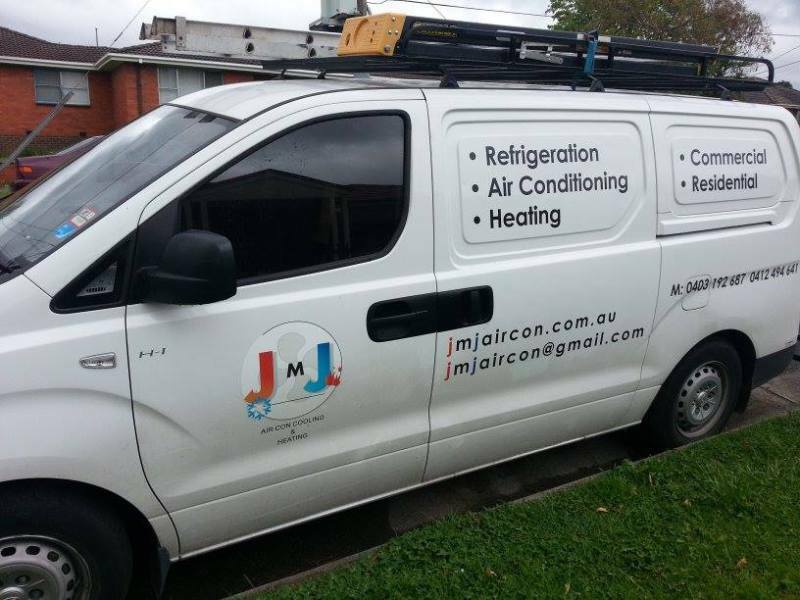 "I had JMJ fix my aircon at the start of summer and was super impressed with the service. I called him after four in the arvo expecting to book him in in a day or two. Imagine my surprise when he turned up within the hour. Great workmanship and communication. I have just booked him again to service my heating for winter." "Wall controller for heater was loosing power. Jean suggested that the power cable was loose on heater in roofing cavity. Said he could come out or we could check it and save his call out fee. Another tradesman had bumped the cable loose and it was an easy fix. We appreciate Jean's honesty and generous approach." "Outstanding job, great professionalism, brilliant after sales service. Absolutely no hesitation in recommending this firm to family and friends. Thank you very much Jean-Michael." "Great service. Fixed the problem quickly!! Highly recommended! Thank you JMJ!" " Job well done. Arrived promptly and worked efficiently. Good communication skills which meant I understood exactly what was wrong with my air con system and how it would be fixed. Good work Jean!" "Great job Jean. A true professional. Thanks Jean." "Thanks for a great job. I had my heating working again in 24 hours. Jean arrived a few hours after my first call, next day he was back with the right parts and fixed it on the spot. Always on time and communicating via SMS about progress."